Discussion in 'Edged Tools' started by City Bushcrafter, May 30, 2018. 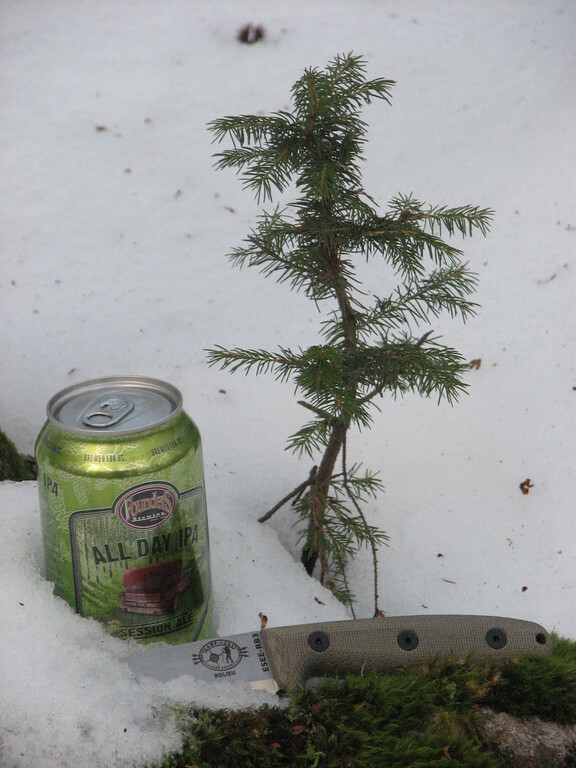 I know I've seen a threat around here with beer in it, but after searching I could not find anything with knives and beer. If another one exists, too bad so sad! I'm starting a new one! 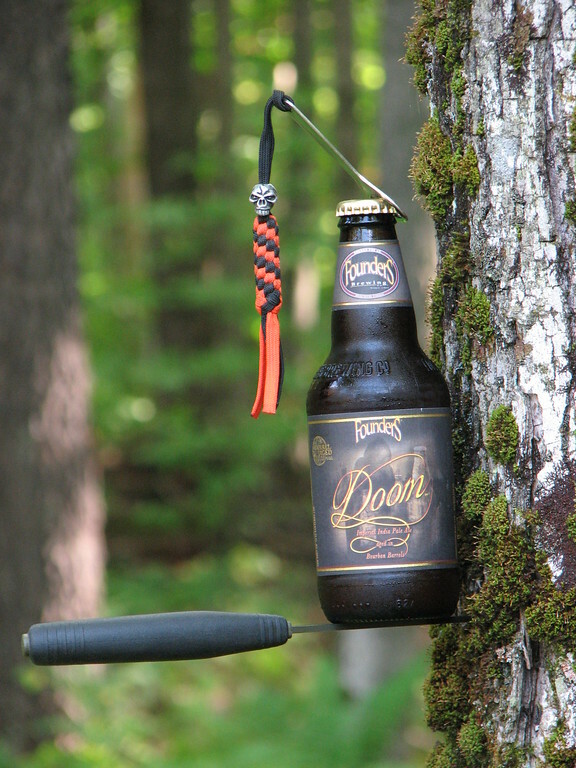 Of your knives and beer! Edit: I changed the title to "Edged Tools and Beer". Open to all edged tools! Forestcactus, Wesleypipesyo, rustystove2017 and 19 others like this. I'll get it started with a good All American combo! Leshy_apprentice, three50seven, Logan Woods and 48 others like this. Redneck Bear, rustystove2017, Broke and 20 others like this. I'm sure beer has played a role in the exponential growth of someone's collection! Logan Woods, rustystove2017, Canaan Addison and 14 others like this. rustystove2017, Broke, buckfynn and 8 others like this. Forestcactus, rustystove2017, Broke and 12 others like this. It's been a long day, time to relax and make a sheath for a passaround knife. Forestcactus, marokero, Woodchip and 26 others like this. marokero, Wesleypipesyo, rustystove2017 and 24 others like this. I’ve been known to splash my gullet with a few beers and make some unsound buying...........and selling decisions! rustystove2017, Broke, buckfynn and 15 others like this. ExAF1N1, marokero, rustystove2017 and 29 others like this. marokero, Woodchip, rustystove2017 and 21 others like this. Forestcactus, marokero, Woodchip and 30 others like this. rustystove2017, Broke, buckfynn and 6 others like this. Borealman, John from Alberta, marokero and 31 others like this. marokero, Woodchip, rustystove2017 and 17 others like this. marokero, Dillon Finan, Woodchip and 33 others like this. Redneck Bear, slowtaknow, marokero and 19 others like this. marokero, Woodchip, rustystove2017 and 30 others like this. marokero, Woodchip, rustystove2017 and 25 others like this. rustystove2017, Broke, buckfynn and 7 others like this. LostViking, marokero, Brew-Jitsu and 19 others like this. glen1100, Lee C., Forestcactus and 29 others like this. Ditto, and ditto! I have to make sure I am not drinking beer and on the forum at the same time...! buckfynn, Winterhorse, Broke and 5 others like this. The unwritten rule of the Big Board applies, "Never drink and surf"
JW_Halverson, pirogue, marokero and 40 others like this. Camping right now. Fire bans all over so I just took a light knife that I used to cut some bread with. marokero, Dillon Finan, buckfynn and 20 others like this. marokero, Woodchip, Kinggoat and 23 others like this. I told you I'm not selling that Skookum back to you! I paid my $20 fair and square! BalsamFur, buckfynn, Winterhorse and 12 others like this. This thread is a great idea. 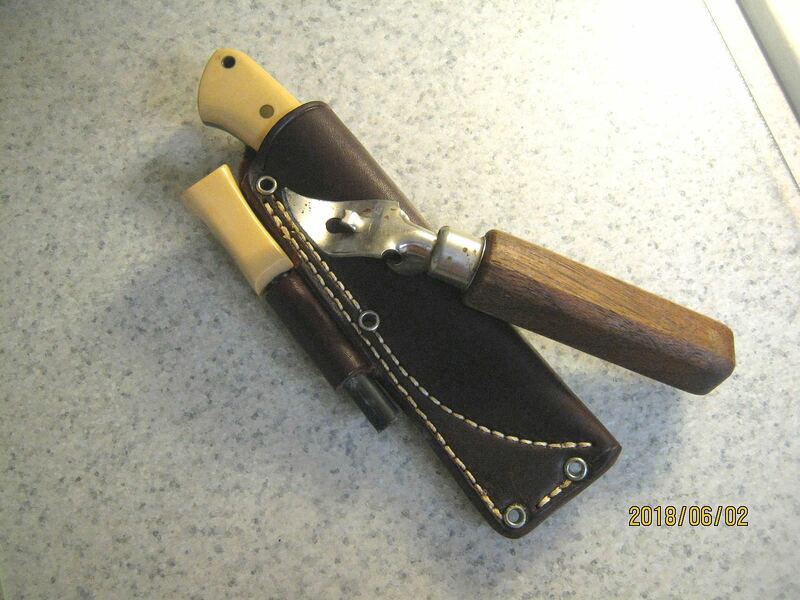 My pocket knife complete with crusty blade from recent kitchen use. My bahco fixed blade. That is crazy sharp and never sees any kind of abuse. Currently my favorite local brew! Red truck out of Vancouver. They have a blackberry bourbon ale that is simply epic! This is their lager a very good if ordinary beer. P.S. a joke if I may. I over heard the local pub manager on speaker phone with his supplier. He was ordering nuts for the little bowls on the tables and bar. The supplier ask him. "Do you want beer nuts or deer nuts?" "What's the difference?" Asked the manager. "Beer nut are $1.50 each. Deer nuts are always under a buck!" glen1100, marokero, Woodchip and 21 others like this. Both excellent choices good sir! buckfynn, Winterhorse, ARPILOT and 4 others like this. Craíc, marokero, Dillon Finan and 30 others like this. Urquell is a welcome change for me once in a while. In the Czech beers Ive discovered Kozel (think that's the spelling) it has a creepy goat on the can! Very different from urquell, less sharp, heavier flavor. But a very good and inexpensive beer. I've only ever found it in tall can singles. buckfynn, Broke, central joe and 2 others like this. You youngins' won't have a clue of what I'm talking about, but when I started drinking beer you had to have a "church key"!! Sloany, marokero, Woodchip and 34 others like this. Beers, blade... fatwood and fire. marokero, Dillon Finan, Woodchip and 29 others like this. Kind of funny you should say that. When I saw your photo. I thought to myself, I haven't seen one of those in 40 years. Way better than those pull off pop tops that replaced them. I watch guys crush beer cans today and just chuckle. Those old cans took some strength. Sloany, Woodchip, Fat Old Man and 10 others like this. I got a church key in the drawer that is probably 80 years old. buckfynn, LostViking, Broke and 4 others like this. Woodchip, Fat Old Man, buckfynn and 7 others like this. I’d love me some Rainier beer being from Gold Bar, Wa originally, and it can’t be had in NY. Broke, Beach Hiker, central joe and 2 others like this. LOL I haven't heard that since high school! I looked up the origin of the phrase. I can't confirm it's not urban legend. Story goes Catholic churches used cheap wine with a pop top for sacrament. The priest kept a bottle opener on his key ring for the purpose. Sounds plausible! Josh Schaefer, Anthony DiCamillo, City Bushcrafter and 6 others like this. This old Stiletto butcher knife that I cut down is one of my favorites, as is a cold Blue Moon with a big squeeze of orange in it. And who doesn't like Stagg chili? Redneck Bear, slowtaknow, BreakTime and 23 others like this. marokero, Dillon Finan, Broke and 16 others like this. 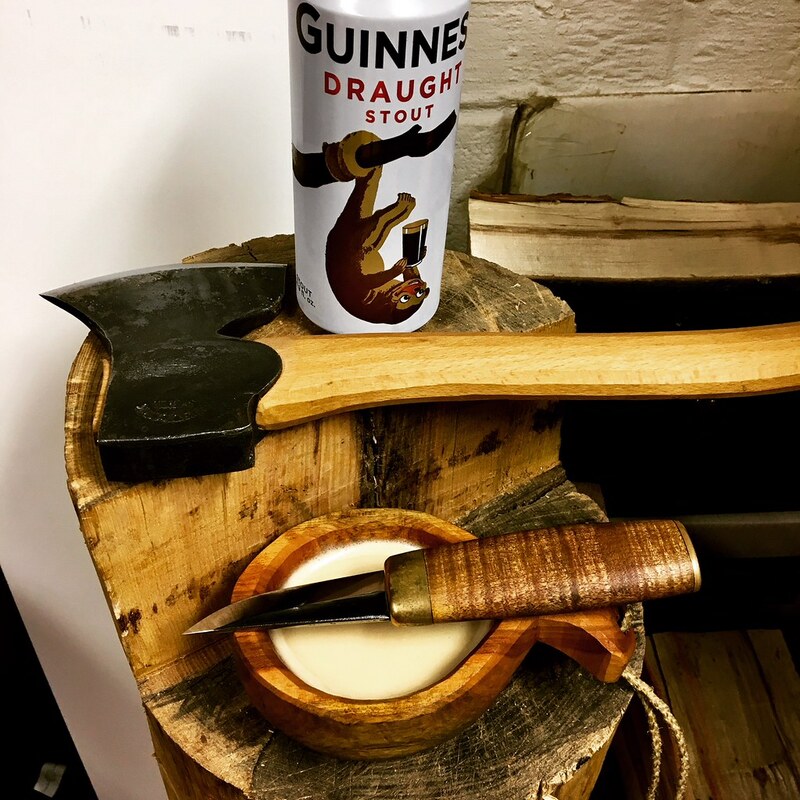 ...not sure that beer and knives are the safest combo...but hey...to each his own...bring on the bloody finger/accidental cut pics! Woodchip, buckfynn, Broke and 3 others like this. This ain't nothin'...wait till we start the "beer and bullets" thread!! buckfynn, Zunga, Broke and 6 others like this. anthonywelsh, marokero, buckfynn and 16 others like this. Forestcactus, marokero, Dillon Finan and 23 others like this. Redneck Bear, Borealman, marokero and 21 others like this. I love how the beers are as diverse as the knives! pirogue, Woodchip, buckfynn and 8 others like this. marokero, buckfynn, BetterNotBitterIsSurvival and 14 others like this. Here’s said beer in a glass. Please excuse my pollen covered table. I was far too hungry and thirsty to clean the table first. marokero, Dillon Finan, buckfynn and 17 others like this. Redneck Bear, Bushcraft and Brews, marokero and 29 others like this.